I've been on an unexpected trip to my girlfriends mother and then my own mother for the past week. Kinda came out of nowhere that we were going there or otherwise I would have updated sooner. 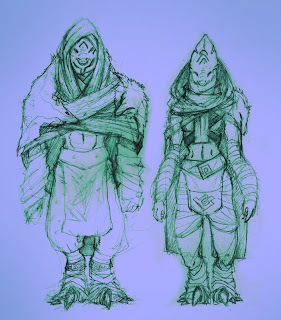 Anyway, I've mentioned a project that I worked on before and here's a sketch of a race I made that I call 'Theokins'. I'll post a coloured picture of one later with a better description of them because I've been really in to working on this project lately. 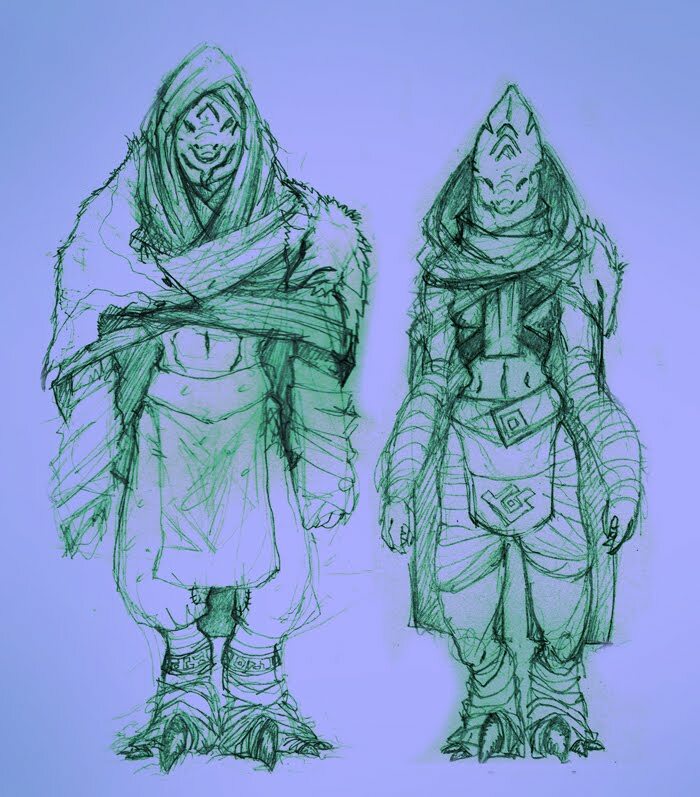 I've written some info about these and tons of info about another race. And a little about yet another one. EITHER WAY I'll post it all in time so enjoy these for the moment... now I'm off to the bank to get my moneh.